Enterprise sales can change the course of your company. But finding the right approach to them is a challenge. Securing an enterprise sale requires dedication and uncanny ability to manage your energy. So I’m going to name some strategies that can help you. They come from enterprise sales success stories — like Slack, Intercom, Close.io, and Dropbox. These aren’t some magic shortcuts, though. You won’t grow your business with corporate customers overnight. In enterprise sales, the hard way is the only way. And the only thing you can do? Make sure that the hard way leads to where you want to be. …but it won’t happen that way. And they are often painful. In 2007, founders of CRM software Close.io tried to secure deals with Google, Oracle, and Intuit. By 2008, each of them failed. Which is to say that the best way to secure an enterprise sale is to prepare for a marathon. Yeah, it’s a mindset change and not an actionable tip. But if you don’t plan months ahead, you won’t close the deal — and you may not survive the consequences. Prepare yourself for constant follow-ups, renegotiation, surprise challenges, and setbacks. Make sure that your sales team works like a well-oiled (and well-motivated) machine. You’re playing the long game. Planning to secure an enterprise sale by persuading the CEO of a big company? You’re late. In fact, you’re late by 1700 years. The last time it worked was when Constantine of Rome was persuaded to take up Christianity. I’m joking, but there’s truth to it. To return back to the story of Close.io’s unsuccessful attempt at enterprise sales: they managed to get top management on board, but the team wasn’t excited. Instead, take a tip from Slack’s playbook. 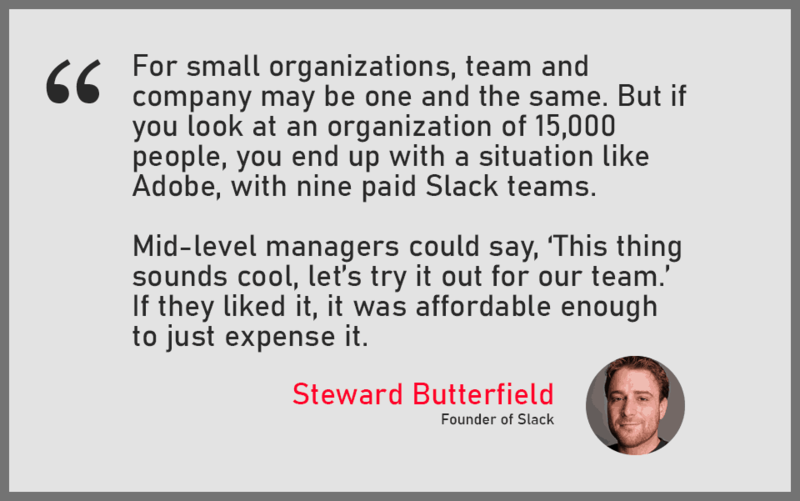 When Slack was a startup, they grew by focusing on onboarding small teams. Once they persuaded a single team to try their software? Other teams from the company followed. Slack was spreading person by person, team by team. They didn’t have to waste time on pitching top management. Once teams inside a company started using Slack, the deal was essentially closed on its own. 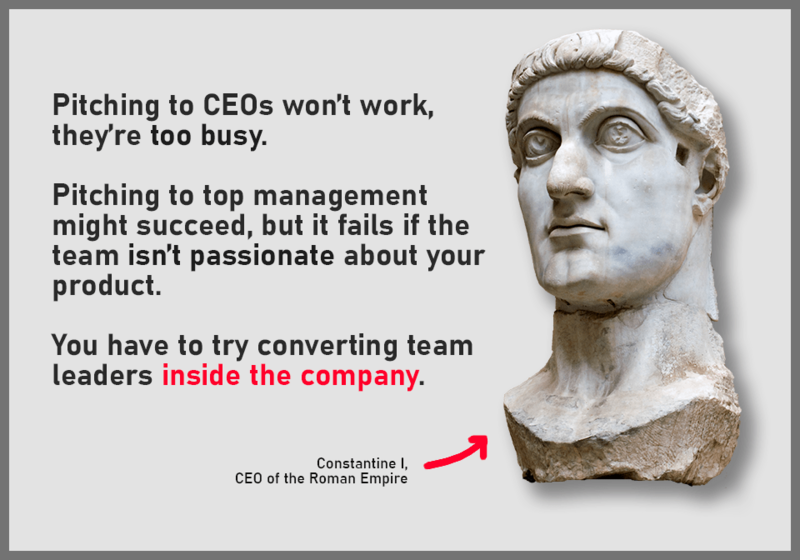 CEOs don’t have the time to play with a product they have never heard about. But a team lead just might — if you can find one and persuade them to do it. So you should prospect people who will become your advocates inside their company. There are various ways to do it, but a good way to begin is by using LinkedIn Sales Navigator. Use Advanced Search to filter people inside companies you target in key positions. Search for team leads and other people in medium-level leadership positions. Pay attention to their work experience and connections, and hone in on somebody that people are listening to. Even if you’re focusing on a single company, don’t ignore other opportunities. Sales Navigator is great at showing you related leads and similar accounts. You can use these as entry points for the future, or secure a referral if you have a common acquaintance. Next, you’ll want to contact the prospects you found. 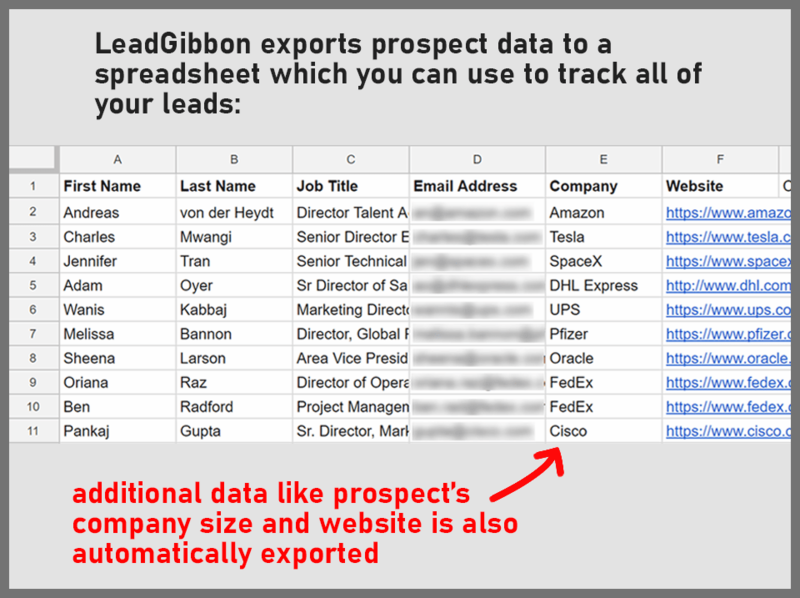 Combine Sales Navigator with LeadGibbon, which validates and exports corporate emails. It also generates a spreadsheet on Google Drive with lead data, so it’s easy to track who you’re getting in touch with. 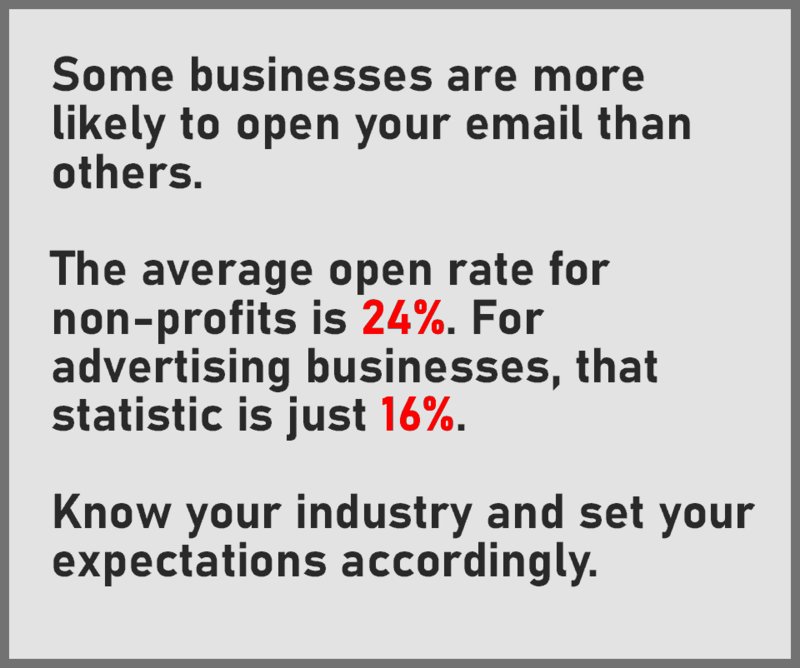 Cold emails can play a huge role in getting a key decision-maker to pay attention. So it’s important to make sure that your inside sales team is on top of their game. A cold email to an enterprise employee doesn’t have to look formal. Fix your email signature so that it doesn’t scream ‘I’m here to sell you’. Speaking of formal vs informal communication, here’s what I noticed while researching this article. Some people think that to secure an enterprise sale they need to sound professional. There will be a lot of situations where you have to sound professional. Exchanging documents with lawyers, filling out security questionnaires or discussing your whitepaper. But in an email exchange with an enterprise prospect, you want to sound enthusiastic. Remember, you want to make them an advocate for your company. 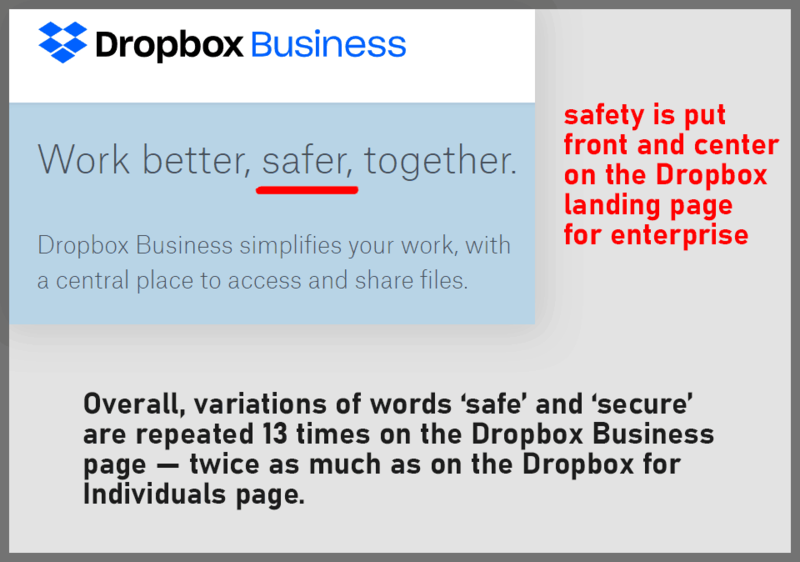 So drop formalities, jargon, and sales-speak. Instead, write a friendly email and build a warm relationship with your prospect. I’m not the biggest fan of cold calls. But enterprise sales depends on it. Even if your initial emails gets traction, you can bet that you’ll be speaking to a manager, team lead or two to keep the ball rolling and get the deal done. 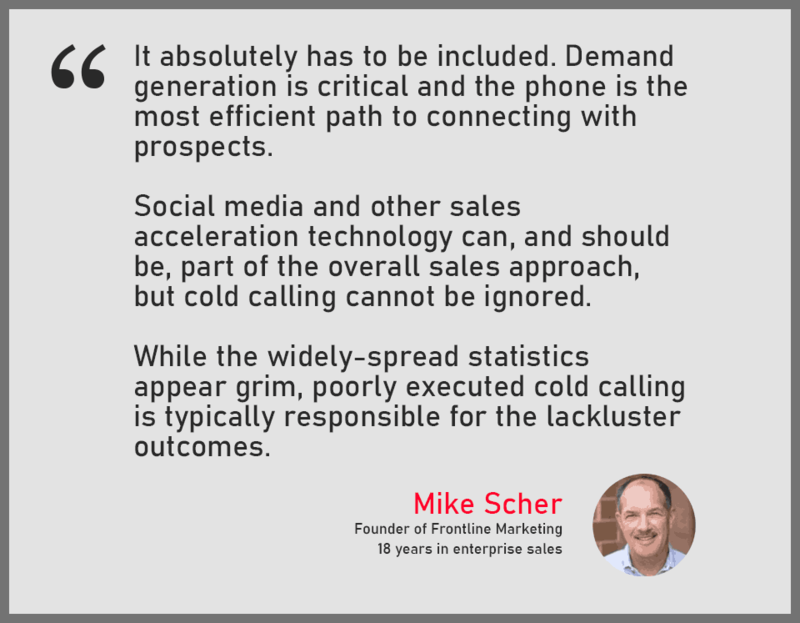 In this survey done by Reply, 100% of respondents named cold calling an essential part of B2B sales strategy. It’s a good idea to get a good grasp of your cold call strategy. And one of the most important things you can do is to learn the art of the sales rebuttal. There are a number of popular reasons for turning your pitch down. The price is too high, the team is busy, a manager has to talk to a superior and so on. Discuss with your colleagues how to reply to each of these reasons. The price is too high? Explain how much money they are going to save by using your product. Write these sales rebuttals down. Don’t panic if you hear a rejection. On a call, sound polite but confident. And remember that the average number of calls before reaching the right person is eight (according to The Brevet Group). Some trial and error is expected! Sometimes meeting the right people from the right company isn’t about a cold email. Network by taking part in industry events. You probably won’t secure an enterprise sale by the end of a single meeting… But it will be more than enough to continue the conversation later. Giving talks or submitting articles to industry publications is also a great idea. You never know who might be in the audience. If you sound passionate, it might just be enough to capture the attention of the right person. Here’s another thing that requires less involvement. Track online communities where decision-makers from a company you target might hang out. For example, I haven’t yet come up with a product that I could pitch to Google (specifically their Chrome team)… But if I did, I’d start with Reddit. Why? Well, Peter Kasting (team lead of Google Chrome) is very active there. He regularly answers questions and engages with user’s feedback. Would I succeed at selling my product to Google via a random Reddit thread? Maybe not. But if I can engage Peter in a conversation, I’m already several steps ahead of my competition. Peter Kasting is not the only top manager from Google I’ve seen on Reddit, and there are lots of middle- and top-level managers from big companies on Twitter and LinkedIn, too. Engage decision-makers in a casual conversation on a platform they enjoy. It’ll be much easier to proceed to email and meetings after that. Pursuing an enterprise sale is different from targeting regular customers or SMBs. A regular customer might value innovation or convenient design over anything else. Small businesses might choose your product just because it’s cheaper than the alternative. For enterprise sales, it’s a different story. If your product fits the following criteria, an enterprise won’t care that it’s not the most cutting edge. Customization — your product can be changed to accommodate the requests of a company. So your message should reflect these key ideas. Create landing pages aimed at corporate customers. Cover the three concepts above extensively. Answer potential questions on security, data protection, integrations with enterprise tools, and flexibility of your solution. 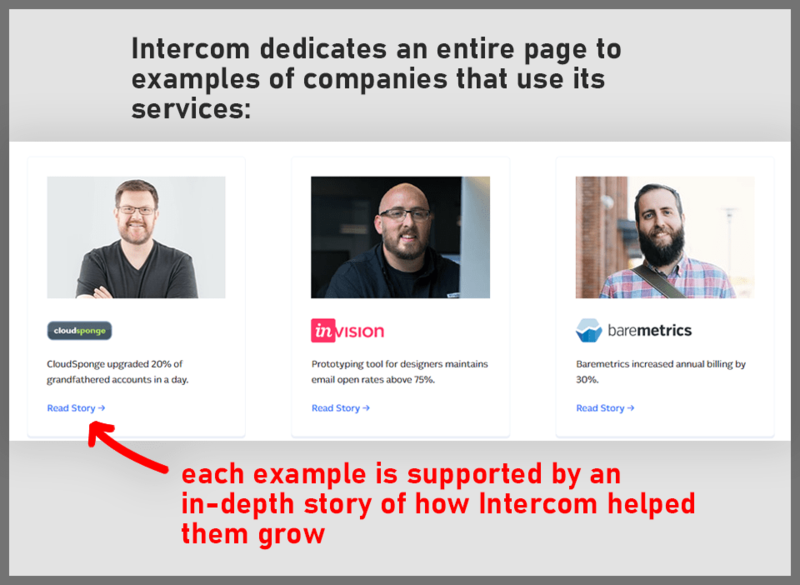 Intercom is great at leveraging customer testimonials. Their website has an entire section dedicated to success stories. A diversity of featured businesses means that any company will be able to compare itself to a business of similar size. But don’t expect that if you have a nice landing page, enterprise customers will be lining up to buy. Be prepared to answer a ton of questions — often on the same topic that you already covered on the website. Enterprises want to make sure that your product is the right one. The right message won’t make a business switch to your solution, but it might get them interested — bringing you one step closer to a deal. The best companies to target when you pursue enterprise sales are the ones that are growing. Well, we already mentioned some of Sales Navigator’s other useful features. 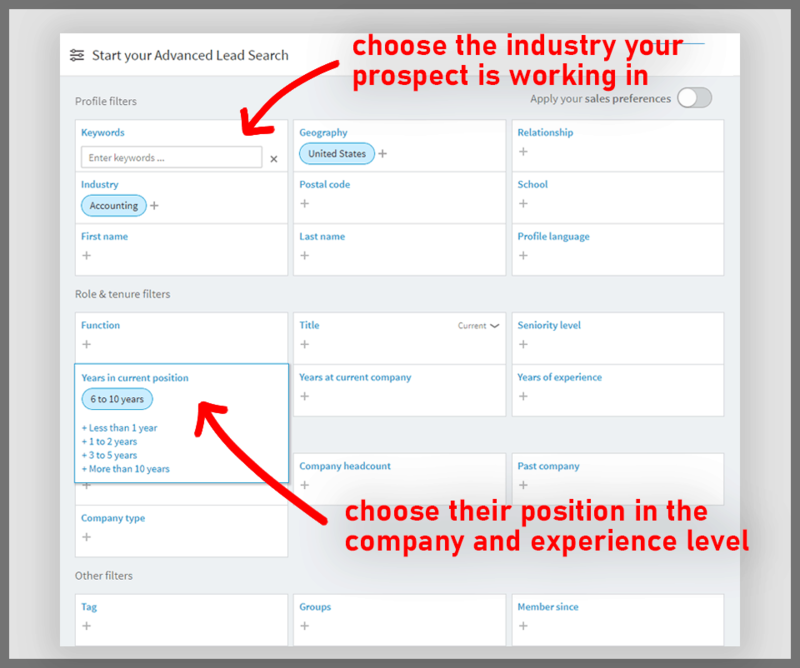 Here’s how you can use it to search for companies with a high headcount growth on LinkedIn with Advanced Search. Another way to approach it is going with something like GrowthList. It curates a database of thousands of fast-growing tech companies. Nothing beats pitching during the crucially formative moments of a company. You might already have opportunities that you just don’t know about. 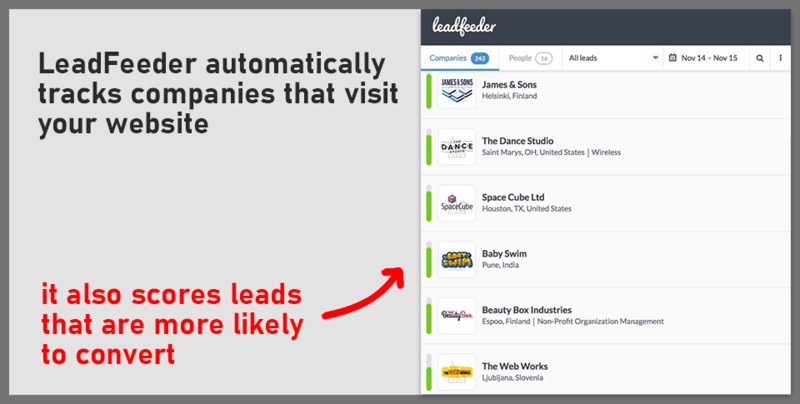 A tool like LeadFeeder can track which companies are interested in your service. It uses Google Analytics data to detect when a visitor to your website is from a specific company. You can use Datanyze to identify the technology your target company or website visitors are using. And based on this data you can prepare a stronger pitch or see when a company is looking for alternatives. These tools make it simpler to identify companies that encountered your brand. Use it as a starting point and convert them into leads and paying customers. The not-so-well-kept secret of enterprise sales is that in a lot of ways, they depend on luck. Being in the right place at the right time is priceless. But you won’t succeed without a strategy and dedication. Founders of Intercom and Slack spent days and nights getting in touch with prospects. They were lucky to secure enterprise sales — but luck doesn’t just favor the bold, it favors the prepared. So, good luck! We hope that these tips will help you grow your sales and close that deal you were dreaming of. 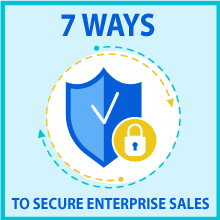 And if there’s something you want to add about securing enterprise sales? Don’t hesitate to post a comment!